Cologne is a town sometimes missed on the typical ‘Eurotrip’ itinerary but is absolutely gorgeous and shouldn’t be missed! The West of Germany is accessible by train from Belgium, Netherlands and the rest of Germany in a few hours and a decent price. From Amsterdam I got the fast train in 2hrs for 30Euro one way. You can buy cheaper options but they involve several train changes which can double your travel time. Check out http://www.bahn.de for times and prices. There are a few hostels in Cologne center and the public transport is thorough so don’t be afraid of staying a few kms out to save money. I found them too expensive and paid the same amount on a private room through AirBnb with my own living space, bathroom and only 10mins from town on the tram. This is the first thing you will see when walking out of Central Station and it is magnificent! You can climb to the top all 400 stairs to get a great view of the city. However there is another view point that is better and you can take the elevator instead! 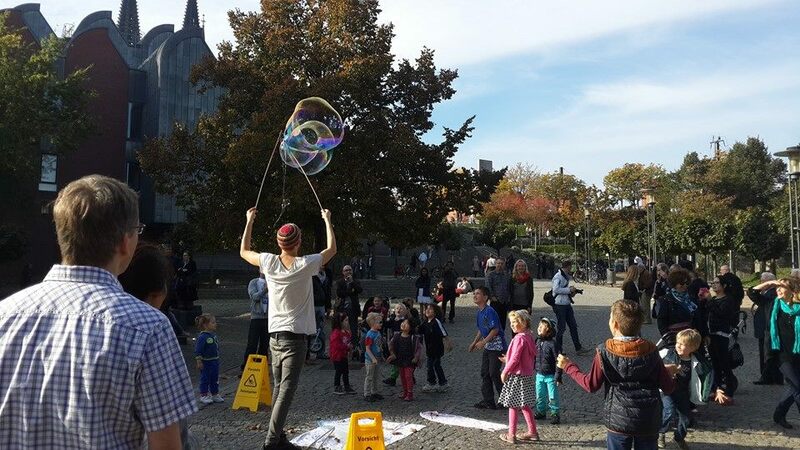 There is often a lot of people gathered around the square infront of this cathedral and a great place to be in the afternoon. 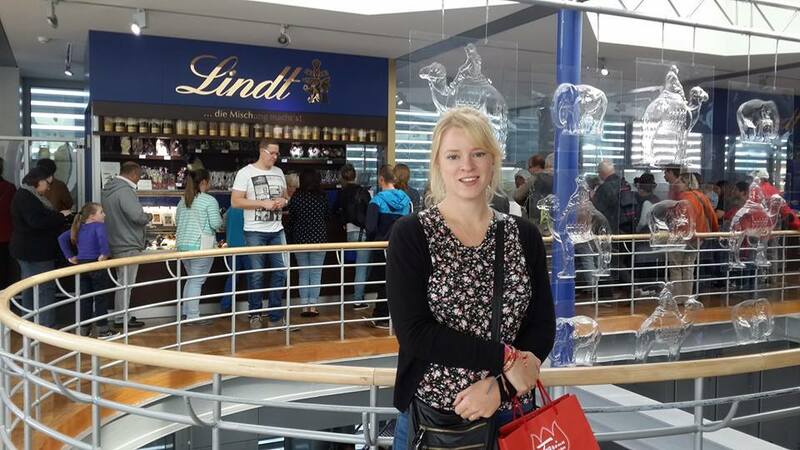 The famous Lindt Chocolate was the highlight of my visit to Cologne! It’s in the south of the city on the water. It’s cheap to get in and is a great way to spend a few hours. You walk through exhibitions of the history and importance of coaco and then reach the factory itself. 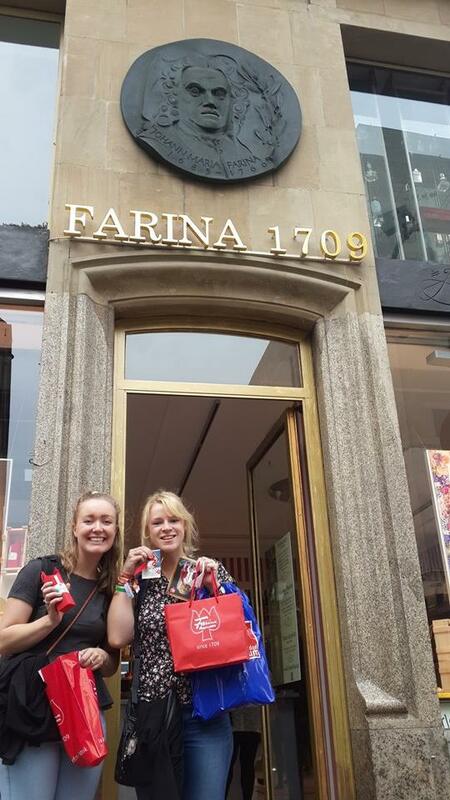 You can try samples and buy your own manufactured chocolate bars! It is absolutely delicious and a must see for all chocolate lovers! After the chocolate factory, walk north along the water towards town. This is a gorgeous walk as you get waterside views as well as cute German buildings and churches on the otherside. This is a popular place for people to spend the afternoon and laze in the sun. On the otherside of the water from town there is a tower which gives you a great view of the whole city including the cathedral for just 2 Euro by elevator. 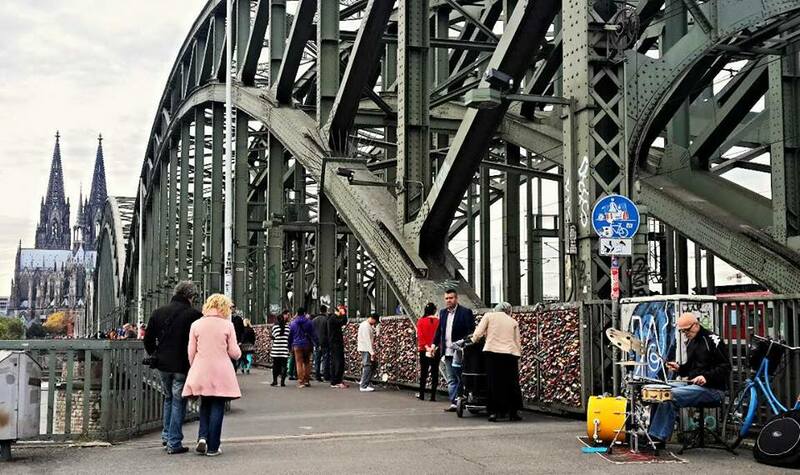 To get there you walk across the beautiful love lock bridge. This gives you great panaramos of the city. This is the tiny little shop where the Eau De Cologne first perfume was made. 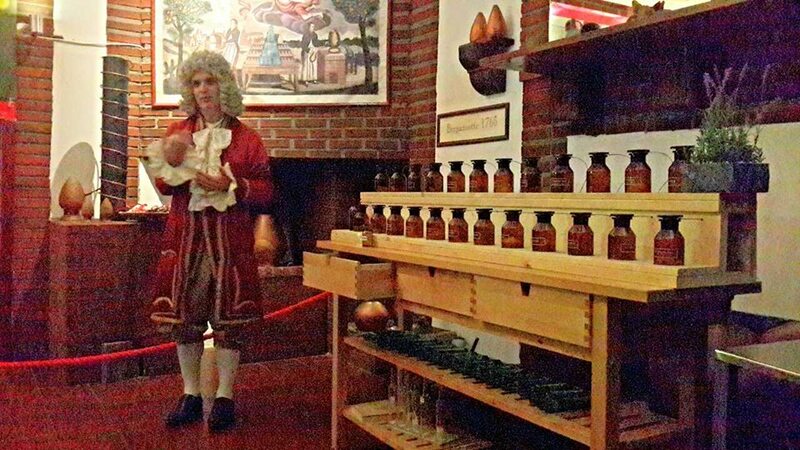 For 5 Euro you can get a 30min show by Mr Cologne himself in costume about the history of the fragrance, different ingredients used and its development. It’s super interesting, quick and you get a free sample! Here you can also buy a bunch of different perfumes. One of my favourite things to do and this city is great for it, is to meander around streets and discover tthe beauty of the architecture and town planning. On your walk you will see all sorts of beautiful old shops and designs. I would recommend two full days here to see the city. 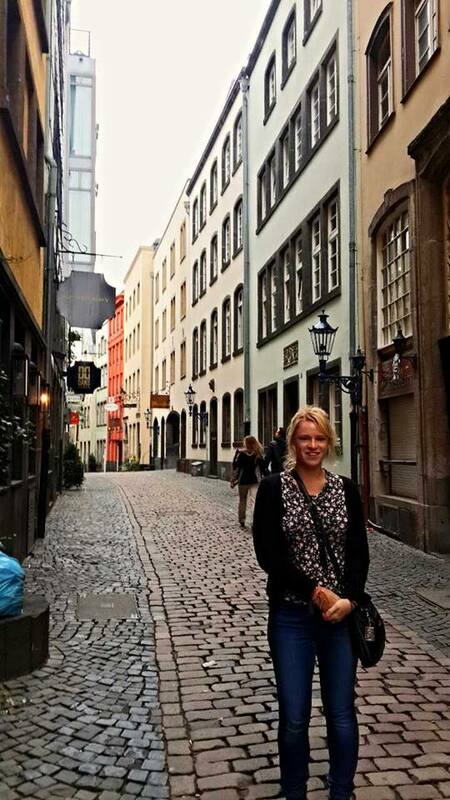 For more information, check out the Lonely Planet’s guide to Germany by clicking below. 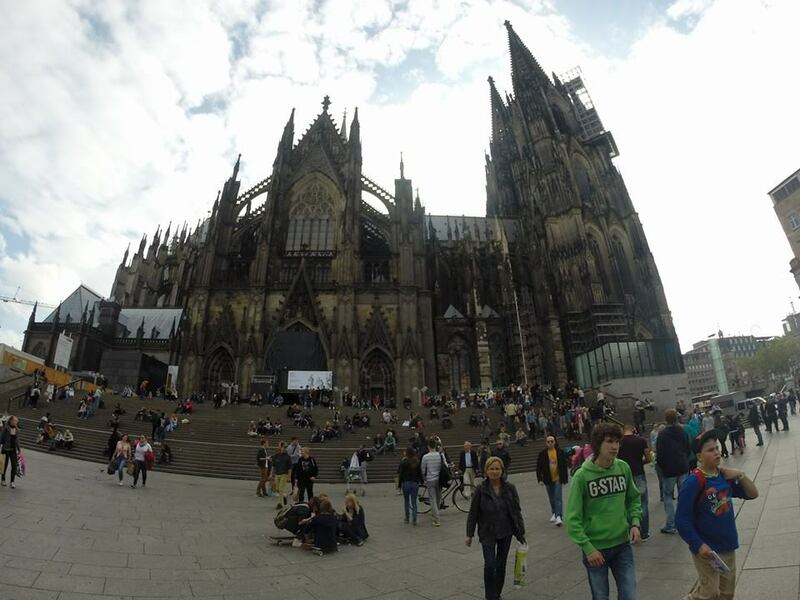 This entry was posted in Germany and tagged cathedral, chocolate, chocolate factory, Cologne, eau de cologne, Germany, perfume, tower, views. Bookmark the permalink.